Meaning: Which Rama’s wife is Janaka’s daughter that Rama is indeed with an inestimable resplendence, and it will be incapable of you to steal Seetha while such a Rama’s bow safeguards her in the forest, besides the firewall called his resplendence. Surpanakha and a demon named Akampana who escaped the carnage reach Lanka with the news and proposed that Ravana steal Sita, Rama's beautiful wife. Ravana started brooding and thinking of the next course of action. He then flew in his aerial chariot across the sea to meet his uncle, Maricha. Maricha lived in a secluded hermitage on the ocean coast. Ravana informed Maricha of the death of Khara, Dushana and their army as well as of the insult of Surpanakha. He told Maricha to turn into a golden deer with silver spots and graze in the vicinity of Rama's ashram. On seeing the deer, Sita would surely tell Rama and Lakshamana to catch it. When the brothers left Sita alone, Ravana would abduct her. Rama, saddened by the grief of Sita's separation, would be easily killed by Ravana. Maricha, who had a first-hand experience of Rama's strength, was horrified by the idea. The wise Maricha attempted to dissuade Ravana by recalling the righteousness and valour of Rama and warning that this idea will only lead to the doom of Ravana, Lanka and the Rakshasa race. He narrated his first encounter with Rama, when he underestimated Rama and dismissed him as a boy and how he was thrown hundreds of leagues away by Rama's single arrow. He followed that with his second encounter with Rama in Dandakaranya. Lord Rama is not alone now, He is married to Sita and is more powerful now. Asking him to not to meddle with Lord Rama's affairs. However, Ravana ignored Maricha's words and asked how he dared praise Rama and question the prowess of Ravana, his king. Ravana announced that he would abduct Sita with or without Maricha's help to get revenge for the death of rakshasas. He reiterated his plan and told Maricha to be the golden deer. If successful, he and Maricha would return to Lanka and Ravana will grant half his kingdom to Maricha. Ravana threatened that while his plan might lead to Maricha's death by Rama, but Maricha's refusal would mean an instant death at his hands. Finally Maricha agreed, but not before prophesying his death as well as the end of Ravana, Lanka and rakshasas and warning Ravana that he will suffer the results of dismissing Maricha's words which were for his own good. Another version states that Maricha felt that death by the divine Rama would be better than by Ravana. Ravana was pleased by Maricha's consent and embraced him. All of Emperuman’s glory is due to His being the husband of Piratti (Sita), says Srimad Ramayana - “aprameyam hi tat tejo yasya sa Janakatmaja”. Hence Lord Rama is incomplete without Sita. 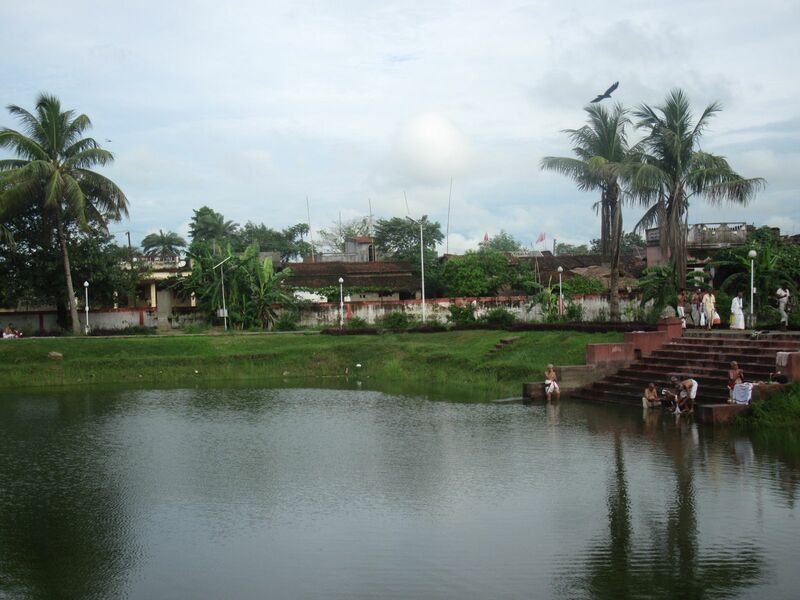 We are now in the birth place of Sita Matha i.e. Sitamarhi located near Dharbhanga of Bihar. Archa form again to help us worship him in various forms. In all the five forms, Sriman Narayana is along with His Pirrati and doesn't stay away from Her. This is also composed in Saranagati Gadyam by Srivaishnavism philosopher Ramanuja. Meaning: With no other help to resort to, I seek Thee, Sri Devi, full of all benevolent qualities, seated in a forest of lotus flowers: (Thou art) the refuge for all the helpless; (Thou art) my Mother, indeed the Mother of the whole world. The crowned Divine Queen of the Lord of the devas, the pure and the unsullied, never separated from the Lord; Thyself, Thine form, its qualities, and the most wonderful, limitless innumerable collections of auspicious qualities of Thine such as, greatness, Ruler-ship and high virtues, all to His liking and worthy of the natural form and qualities of Bhagavan Narayana. In the below verses of Vishnu Purana, the author Sri Parasara glorifies Lord Vishnu who is the Supreme being always associated with Sri or Lakshmi as mutually inseparable, Whatever form the Lord may take, Sri joins him is a suitable form. Meaning: The eternal transcendental position of Shrimati Lakshmi-devi is described in the Vishnu Purana: "O best of the brahmanas, Lord Vishnu's transcencental potency, Shrimati Lakshmidevi, is His constant faithful companion. She is eternal, and she is the mother of the entire material universe. She is all-pervading, just as Lord Vishnu is." Meaning: "Lakshmi-devi appears in different forms, corresponding to the forms of Lord Vishnu. When the Lord appears as a demigod, she assumes a demigod-like form, and when He appears in a human-like form, she assumes a human-like form also. As the Lord's transcendental potency, she is not different form Him, and her spiritual forms are all perfect and complete. This is the opinion of the learned transcendentalists." Meaning: "When the Lord appeared as Ramacandra, she became Sita-devi, and when He descended in His original form as Lord Krishna, she was Princess Rukmini. In Lord Vishnu's many other incarnations, she always appeared as the Lord's consort. Janaka was no ordinary man, had no ordinary job, and no ordinary characteristics, just like Dasaratha, the father of the four boys. Janaka was the king of Videha. He was the leader of a great country and what made him such a great leader was his boundless knowledge, good works, and sanctity. He, like Dasaratha, also longed for children but in contrast he was too occupied with taking care of his people to think about it. It was a beautiful day in spring, the sun had just risen above the horizon, and King Janaka was looking out at his country from his gigantic balcony. As he stood with his right arm leaning against the ledge and his left picking grapes from a porcelain bowl, he watched his people start their day. Janaka loved his people, and he was not a king that merely sat on his throne. He went out and worked just like everyone else. After enjoying his luscious grapes, he put on his working clothes and headed for the field. Let me remind you that this was not a "normal" king activity. It was exclusive to Janaka and his personality. He loved and cared for his people so much that he did as they did. Nothing that his people did was too low or too "un-kingly" for him to do. The sun had risen to the center of the sky and sweat started to drip from Janaka’s forehead. His hands had become callused from his many hours of pushing the plough up and down the fields. He had almost decided to go home when he heard a little coo coming from the other side of his plough. Out of curiosity Janaka peeked his head around his rusty old plough to see what he had heard. Who would have guessed it, there lay a wide-eyed little baby girl staring back at Janaka in a trench in the field. There was no other explanation other than she was a gift from the goddess of the earth. She had curly brown hair with beautiful big green eyes that immediately warmed your heart when you looked into them. Oh, let's not forget her smile. It stretched from ear to ear and caused everyone she met to smile too. Janaka immediately fell in love with her. He quickly swooped her up in his big, strong arms and took her to his palace. As soon as Janaka could make the arrangements he adopted her. He protected her because she was his prized possession. There she grew up to be the most beautiful woman on earth. She is best known by the name Sita, derived from the Sanskrit word Sita, which means furrow. When Maharaja Nimi began performing great sacrifices, he appointed Vasistha to be chief priest, but Vasistha refused, for he had already agreed to be priest in performing a yajna for Lord Indra. Vasistha therefore requested Maharaja Nimi to wait until Lord Indra's sacrifice was finished, but Maharaja Nimi did not wait. He thought, "Life is very short, so there is no need to wait." He therefore appointed another priest to perform the yajna. Vasistha was very angry at King Nimi and cursed him, saying, "May your body fall down." Cursed in that way, Maharaja Nimi also became very angry, and he retaliated by saying, "May your body also fall down." As a result of this cursing and counter cursing, both of them died. After this incident, Vasistha took birth again, begotten by Mitra and Varuna, who were agitated by Urvasi. 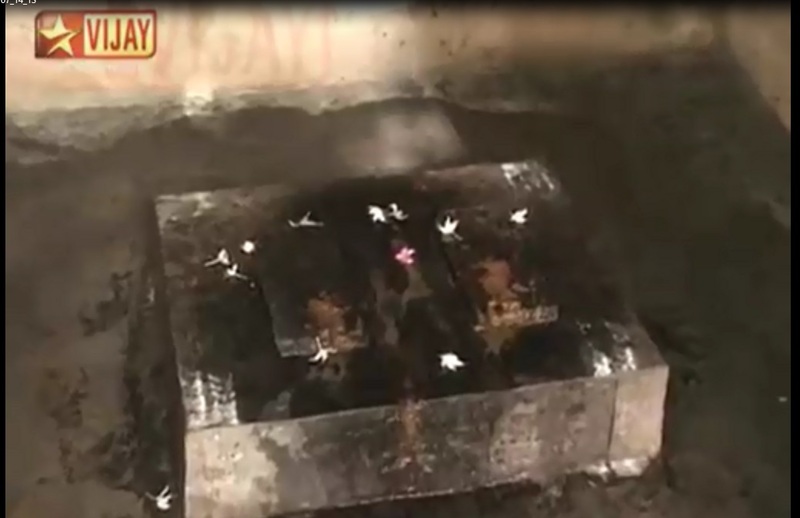 The priests who were engaged in the sacrifice for King Nimi preserved Nimi's body in fragrant chemicals. When the sacrifice was over, the priests prayed for Nimi's life to all the demigods who had come to the arena of yajna, but Maharaja Nimi refused to take birth again in a material/physical body because he considered the material body obnoxious. It was that spiritual body of Nimi, known as King Videha (without physical Body). The great sages then churned Nimi's body, and as a result of this churning, Janaka was born. Hence, Sita came to be known as "Vaidehi" (belonging to Videha kingdom). King Janaka was the ruler of Mithila in present day Nepal. Hence, Sita is also referred to by the name of Mythili. As she was adopted by King Janaka, she is also called Janaki. Meaning: This girl is my daughter; she will perform dharmam (the prescribed code of conduct) along with you. She will follow whatever dharmam you follow, accept her. Janaka maharaja is requesting cakravarti tirumagan to do panigrahanam - marry sita. That is how this Slokam is interpreted [the simple meaning]. Janaka gave his daughter Sita in marriage to Lord Rama. 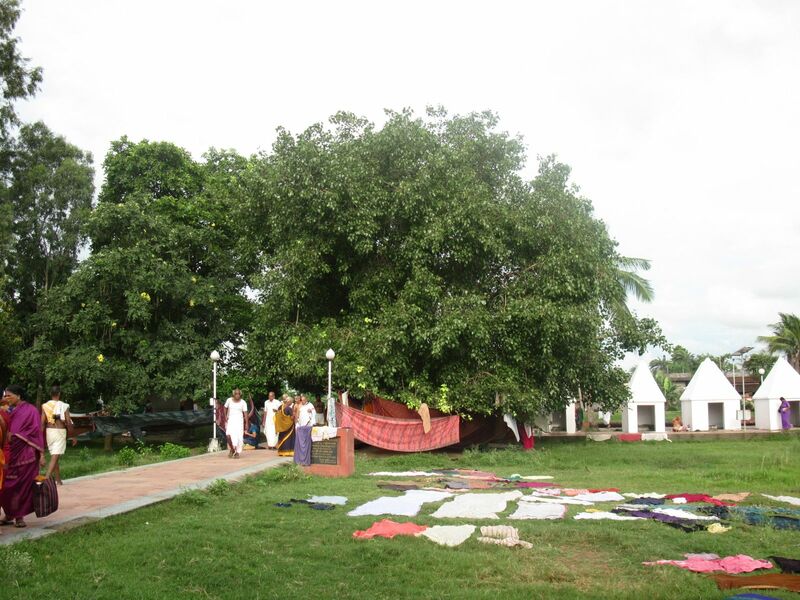 The birthplace of Sita is Sitamarhi, located in Bihar. She is known by different names Mythili, Vaidehi and Janaki. Complete Sita's birth episode has been narrated in Bhagavata Purana by Shri Shukacharya. We all did the parayanam of it in Sitamarhi. We all offered vastrams to the idols of Rama, Sita and Lakshmana present in the temple. Now we are going to start from SitaMarhi to go to Janakapuri by crossing Nepal's border. When the bus started, around 10 local people got into the bus and started to serve puffed rice, tender coconut and many other eatables to all of us. They were very happy since we all had gone to visit the temple in their town and wanted to offer the food. We all had tears rolling from most of our ears seeing the bhakthi of the local people. They requested us to come very often. To go to this place one need to go to Bihar/Patna, from there take a vehicle to reach Sonepur and from Sonepur to SitaMarhi. Minimum 8 hrs travel but depends on the road and weather condition. Let us all try to go to SitaMarhi and do Rama Nama Japam there. There was a Go shala too. The owner invited us to see and there were more then 200 cows who were all well maintained. Our hearts were filled with joy after seeing all these in Sita Marhi. Now it is time for us to go to Janakapuri for the wedding.